Second year journalism student, Silvia, recently visited the BBC headquaters at Portland Place to find out about the BBC Production Trainee Scheme. One thing I have discovered in my year and a half studying journalism at City University London is that the course and London always offer new opportunities for you to seize, most of which are right on your doorstep, and completely for free. Thanks to my journalism lecturers I have visited many of the major newspapers and news organisations’ offices in London, including that of the Guardian, the Times, and Bloomberg, and met leading journalists in the field. 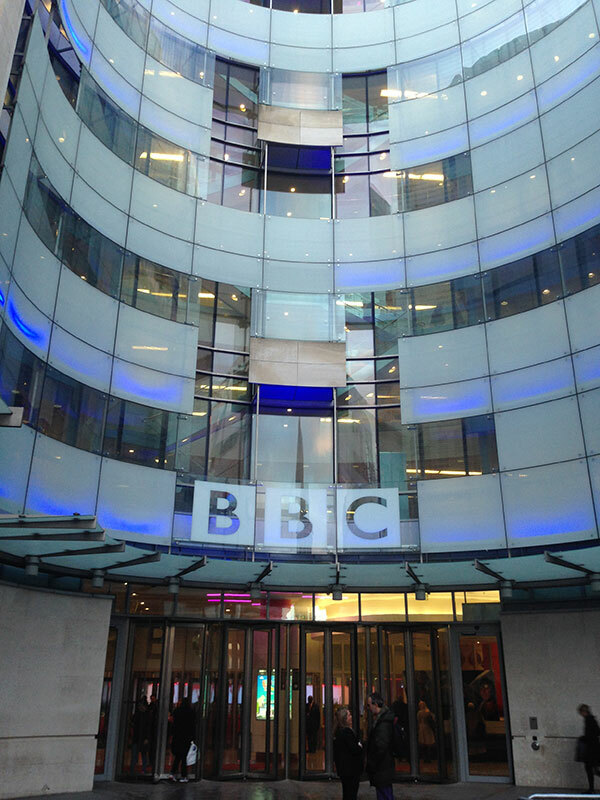 Among these experiences, visiting the BBC headquarters was by far one of the best. Walking across the massive buildings soaring over Portland Place, with a tag saying “BBC”, and my name pinned to my chest; chatting with broadcast journalists and hearing precious pieces of advice from them - all of this firsthand, from the inside - is something that, had I not been a journalism student at City, would probably not have happened so easily. For a recent graduate wanting to break into journalism or broadcasting production, getting in is a life-changing opportunity - but, understandably, competition is, at the same time, really tough. Hence, getting a heads up on the application and selection process from both some recent successful applicants, some of the BBC journalists and the schemes' recruiters, while also having a taste of what working at the BBC looks like, can make you and your application stand out from the crowd. Broadly speaking, it was somewhat similar to what I have been doing over the ‘Introduction to tv and radio’ courses at the university – the difference was that it was in the heart of the BBC, and in front of me I had not classmates and lecturers but renowned BBC journalists, making the challenge was greater. Still, the practices I had been doing at City made me feel confident that I had a solid basis of knowledge, which I could further enrich with the discussions and tips I was given that afternoon. The time I spent at the BBC gave me a sample of what broadcast production involves - of the range of activities going on behind the glossy veneer. One might think the anchor and reporters are the driving force of a successful programme; yet, after that day, I can say it is in the production room, behind the scenes, that the hard work - and also a lot of fun! - happens. And, if on the one hand the BBC newsrooms might still be, for me, a few years away, for now the Journalism department and its facilities are the perfect spot to practice with.